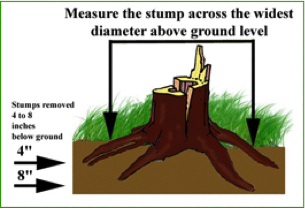 How to measure the diameter of your stump for a grinding quote. 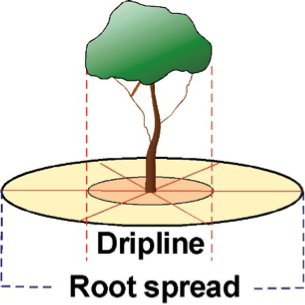 This diagram shows where to aerate around your trees to help with deep root watering, feeding and aerating. These holes should be 8″ to 14″ deep and a few feet apart from each other. 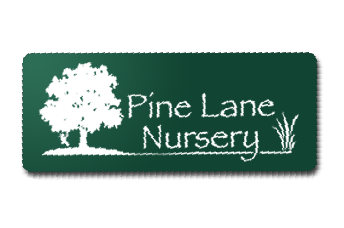 Holes should be made at the drip-line or wherever water accumulates in the area surrounding the tree. 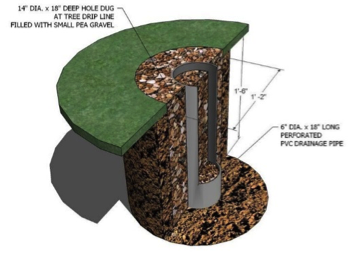 These holes help trees with water, air and nutrient uptake where soil compaction is an issue. 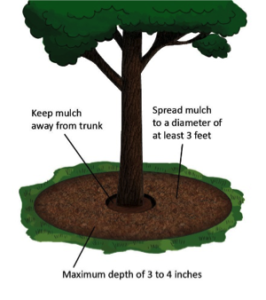 Mulching is a great way to hold moisture and protect roots from damage.